Kat Porter is a consummate romantic, eager for her chance to find love and commitment. But after her boyfriend of four years, Marc, begins to grow apathetic and sends her calls straight to voicemail one too many times, Kat finally musters the courage to confront her so-called sweetheart, who seems more interested in dodging her than courting her. Though she’s no fan of ultimatums, Kat is at the end of her considerable wits, and lobs a massive one his way, completely confident that he'll make the right decision when faced with losing her. He doesn't. With radio silence from Marc, Kat’s lifelong dream of finding a husband and forging a family is decidedly on the skids. That’s when her childhood friend Julie steps in, forcing Kat on a blind date to help her move beyond the break-up. Not only does Kat botch the setup, she instead finds herself in hot pursuit of Julie’s love interest, Ryan Sullivan. A man who, in addition to literally taking her breath away, is the living, breathing personification of everything Kat wants in a husband. Can Kat connect with the man of her dreams without hurting two of the people she cares most about? At the same time, she must also contend with the quips of her beloved catty coworker Adam, her bi-polar boss Brooke, and a string of comic, unpredictable plot twists. All the while, Kat’s cheeky perspective and generous heart will leave readers adoring every moment of her journey while chuckling and cheering for the ever cute, razor-sharp Kat as she fights to land the love of a lifetime. I loved this novel. It was fun, funny, and such a joy to read. I laughed out loud multiple times and whipped through this novel quickly. 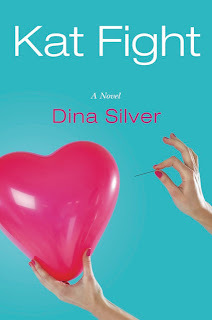 Kat Fight is fabulous chick lit with wonderful characters to root for and a romantic, humorous plot. Kat is a wonderful character. She’s warm, funny and very likeable. But she’s also very confused. Who hasn’t been in her shoes, dumped, confused and unsure of what to do, wavering with decisions, wanting to move forward only to get confused all over again. All the other characters are fabulous too. Her bestie at work, Adam, and his hilarious sarcastic quips made me giggle regularly and his banter with Kat was fabulous to read. And their texts? Hilarious. I wanted to deck Kat’s ex-boyfriend, Marc, in the nose and then kick Kat in the shins for not telling him to get lost every time they cross paths. But then, that’s all part of her character– and her confused antics. I loved the predicaments she gets herself into and even though Kat Fight is a bit predictable, there was enough doubt to keep it fun and I loved the ride regardless. Unfortunately there were a few editing glitches that jumped out at me including a timing issue where suddenly a few months had passed, which somehow sailed right over my head. Either I completely missed something, or it wasn’t explained nearly as much as it should for those of us half asleep reading late into the night. There were also some long descriptive paragraphs, usually introducing a character, that had my eyes glossing over. But the rest of the novel was so wonderful that I glanced right over them and kept reading, which is a true testament to this novel as small typos and editing errors can vault me right out of a novel, especially if it’s one I’m not all that interested in to begin with. 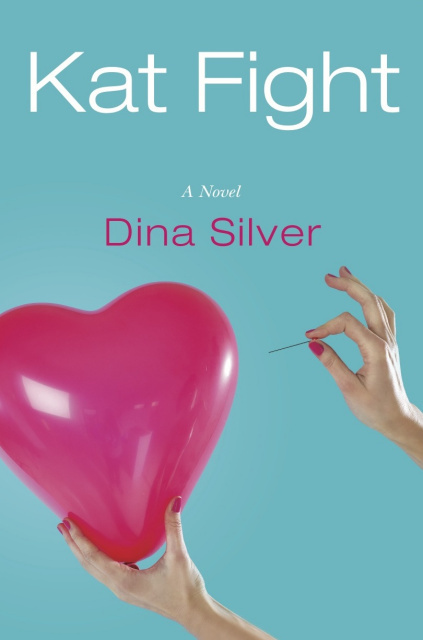 Since discovering Kat Fight is based in part on how Dina Silver met her husband, I couldn’t wait to race to the end to find out which aspects of of the novel were true and which were fiction and found this to be a really fun and unusual aspect to a novel. If you’re looking for a light-hearted, romantic comedy, pick this one up today! Thank you to Dina Silver for our review copy. All opinions are our own.